Thinking of Adding a Shade Structure to Your Outdoor Space? >> Thinking of Adding a Shade Structure to Your Outdoor Space? 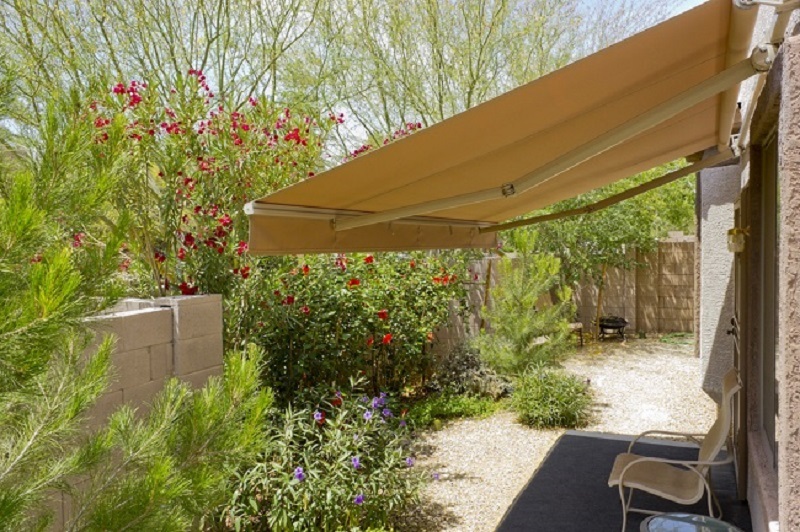 If you are a big fan of nature or like to step out of the confined spaces of your home every once in a while to catch some fresh air, then you will understand why you need more shade structures in your outdoor area. Without any, the heat of the sun can be too much even after a very short amount of time. Moreover, if you want to be spending a significant amount of time outside, then you would want to do so without the harsh UV rays harming your skin. What are the considerations to make before you install shade structures? It is, of course, the most useful feature of a shade structure. No matter what kind of outdoor space you are looking at, you will benefit from a structure for shade. It will make the place a lot cooler and comfortable. UV Rays are incredibly harmful to the skin, and are a cause of various skin diseases as well as skin cancer. Hence, when you are out in the sun, you need to protect yourself from the sun in any way that you can. 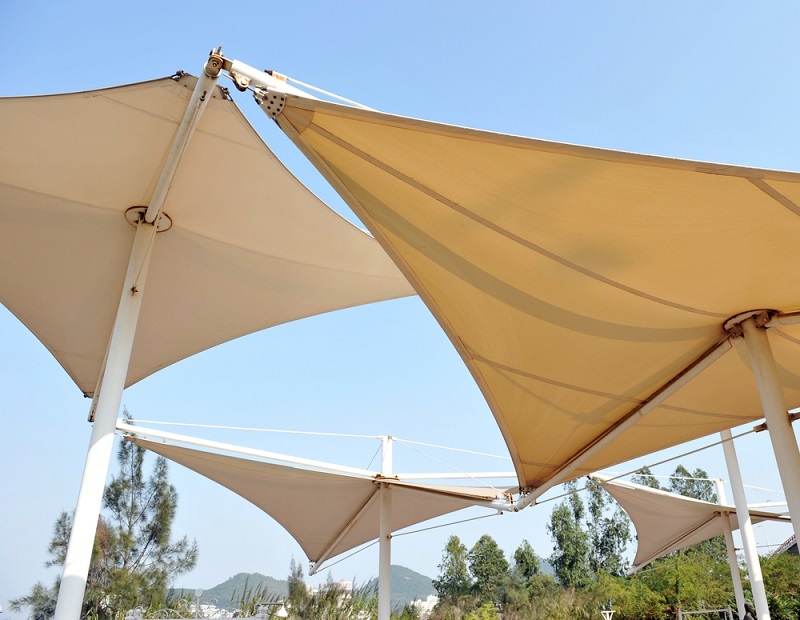 There are different fabrics like canvas, simple colored cloth, and also PVC and other types of varieties that can be used for making the shade structures. You can decide your priorities and buy them. If an outdoor space, such as a park, installs a structure to provide shade, they can adequately protect the equipment from various weather elements. This could include the sun, hail, snow, rain and even strong winds. In any other outdoor space, a shade structure provides people a reprieve from bad weather and a shelter to wait under before they can once again venture out. Thus, a structure for shade is helpful in beating the weather. The cabana styles and the circular styles are quite good when it comes to complete weather protection. When you are thinking of installing a shade structure in your home, the process is not as easy as it seems. When installing your shade structure, make sure that you pick something that will provide you with a sufficient amount of protection during the time of the day when your outdoor space is most likely to be used. When you have decided on the shade structure, as well as the space you are going to be using, make sure you take proper measurements of the area so that it will fit appropriately. If on one side the structure is lofty and the other side stoops down, then the overall frame needs to be disjointed and reframed. Therefore, you need measure the shade sail structures accordingly. Once you have decided on the type and space, you also need to decide on the color of your shade structure so that you get optimum protection from the UV rays of the sun. Once all of this is done, you will need to visit various blogs and home décor pages for some inspiration on how to set up your outdoor area to look aesthetically pleasing and comfortable. You can hire a professional for this. A shade structure is an easy way for you to ensure that your outdoor space is as comfortable as it can be. You can also use the structure in helping you style the seating place so that it looks inviting as well. Author Bio: David Fenton is an expert writer, blogger and shared his experience by providing innovative and useful information which helps readers to get more ideas.